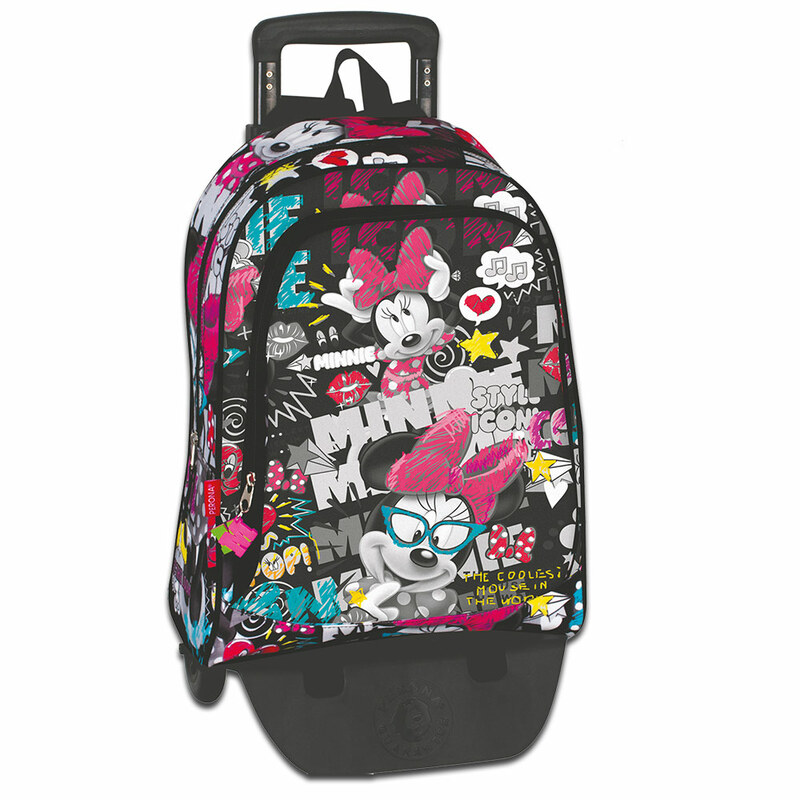 Top of the range backpack with a gorgeous design by Minnie Mouse JOURNAL. 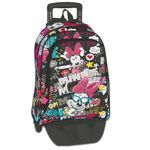 Premium backpack with a large front pocket, padded adjustable straps and back panel. Perfect for school, work and travel. Ideal for adults this bag comes with a detachable wheeled cart making it perfect for that weekend trip.